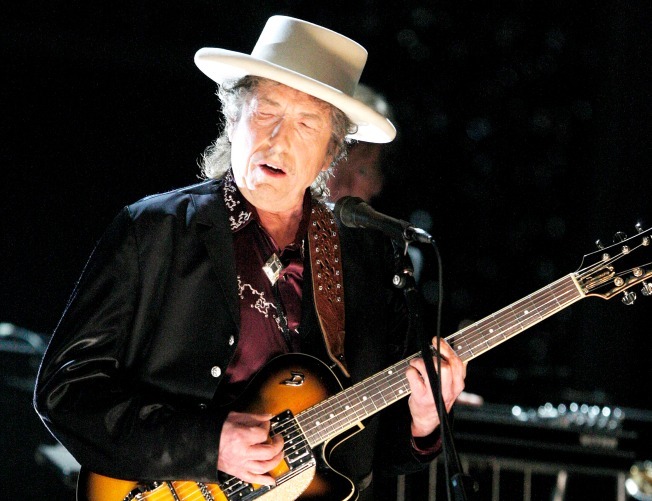 Musician Bob Dylan has given away a song free to Starbucks customers. You know the saying, “there’s no such thing as a free lunch?” Well, in this economy, getting a free lunch, a free book or even a free dress shirt may be easier than you think. Whether it's to boost sagging business or attract customers to a new product, there seems to be a freebie fad going on. That's a boon for shoppers on a budget. And it can be good for companies too, given the right circumstances. Starbucks has been giving away free music downloads at its stores in the U.S. and Canada; Auntie Anne’s has offered free pretzels at its franchise stores; book publishers are giving away free eBooks on Amazon; and a host of restaurants across the country, including Denny’s, have ongoing kids-eat-free programs. Stacy Fisher, guide for the Freebies channel on About.com, said she has seen a threefold increase in the number of company giveaways over the past six months or so. Restaurant chains are upping the freebie ante, said Leah Ingram, author of “Suddenly Frugal” and the SuddenlyFrugal.com blog, which includes a weekly feature on freebies. You can blame (or thank) the recession, say experts. “We do see freebies popping up in tough economic times,” said Mike Schultz, president of management consulting firm Wellesley Hills Group and publisher of RainToday.com, a marketing Web site. "Free works well when it introduces someone to a company and the introduction leads to profitable new sales,” he said. One study by the Promotional Products Association found that consumers made a purchase after receiving a free item substantially more often than after viewing a print ad, TV commercial or online ad. Free Kindle downloads romance novel “Giving Chase,” by Lauren Dane on Amazon.com last year led to real sales, said Christina Brashear, publisher at Samhain Publishing. “We gave away one book in the series and that raised sales for the other three books,” she said. The company now offers two free eBooks monthly on Amazon.com and plans to do the same on Barnes & Noble’s Web site soon. Technology appears to be fostering some of the increase in freebies by lowering the cost for marketers. Dane’s book was downloaded 26,897 times during the free promotion, and that shot the book onto Amazon.com's best-seller list, a coveted distinction to help propel book sales. Each Tuesday at Starbucks customers can find a new “Pick of the Week” card redeemable for free songs on iTunes store from unknown artists as well as big names such as pop star Bob Dylan and Italian tenor Andrea Bocelli. “This program has been enormously successful with customers, so much so that Starbucks expanded the program from all company-operated stores to select licensed stores earlier last year,” said company spokeswoman Holly Hart. The Internet has also boosted the freebie phenomenon because companies can reach consumers with their free stuff much easier. The latest hot trend in giveaways, said About.com’s Fisher, are Facebook freebies. “You become a fan of a company’s Facebook page and they send you a coupon for a free product,” she said. in Central Islip, N.Y., says Twitter giveaways are his favorite. His free haul includes two Flip Ultra video cameras, a cookbook, a T-shirt and lingerie for his wife. “I have frequently benefited from companies' programs for free stuff, and with the rise of Twitter-related promotions, even more so,” he said. MC Sarbin of Pittsburgh, who has been unable to work because of a disability and is tight on cash, uses FreebiesForMe.com on a regular basis to get free merchandise. She recently snagged several magazine subscriptions and free samples of one of her favorite vitamin supplements. She said she spends about an hour every other day looking for free items, and it helps her get products she otherwise can’t afford. Sarbin said she doesn’t plan to ever spend big on the items she now gets for free. That sort of behavior could be a problem for companies that give away items in hopes of getting a loyal, paying customer down the line. Last year, ShirtsMyWay.com launched a campaign to give free dress shirts to the unemployed. The company ended up giving away eight shirts that retailed between $75 and $95 each over a two-month period, and despite the goodwill generated the giveaway actually hurt business. Yang said he probably wouldn’t do a similar giveaway again. Giving away goods can be a bad business move, contended Schultz of Wellesley Hills Group. "People will buy from companies and stay loyal to them when they keep getting value. However, giving product discounts and services away for free is fraught with danger,” he said, explaining that retailers can dilute the value of their product. Such freebies also can be a vehicle for unscrupulous firms that are just trying to spam consumers or steal their financial information, warned About.com’s Fisher. Consumers should be cautious of Web sites that offer free samples of products they don't themselves produce, Fisher advised. “And some scams say you have to pay a handling fee and they’ll send you all these freebies, but they end up stealing your credit card number," she said. "Never pay for a freebie." Fisher’s site, at freebies.about.com offers an array of the latest free items. But she also recommended two freebie forums: SlickDeals.net and YourDailyFreebies.com. Of course, with all the free products to be had, it’s still not enough to take the sting out of tough economic times. “There are quite a few free products out there, but they’re not going to feed your family,” Fisher said.